The UniCarriers GX is a comfortable heavy-duty counterbalance truck for loads between 3.5– 5.0 tons, with straightforward strengths and a world class combustion engine – diesel or LPG. The UniCarriers GX is a heavy, high precision workhorse that will serve you quietly and almost vibration free. Advanced ergonomics and a host of innovative safety and performance technologies contribute to world class efficiency, and a wide range of customised options further enhance versatility. Car like driving characteristics mean the driver is always in control. Our counterbalance truck GX features a state-of-the-art LPG engine for maximum efficiency and a minimum of emissions. An ECO mode further lowers fuel consumption and noise levels. The robust diesel engine, with rapid preheating in the DX variant, is extremely reliable and easy to start while also meeting stringent environmental requirements. 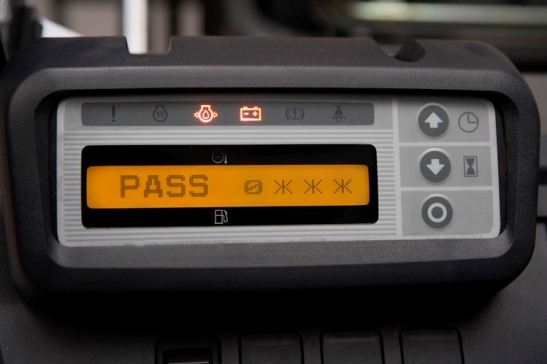 The truck is easy to service using the integrated diagnostics system for rapid trouble-shooting and maximum uptime. Are you interested in the UniCarriers GX? For a relaxed driving position, the steering synchroniser keeps the steering knob in a comfortable 9 o'clock position when travelling straight, before and after taking a turn. This standard feature will prevent unauthorised use of the truck. The code can be connected to individual driving parameters. 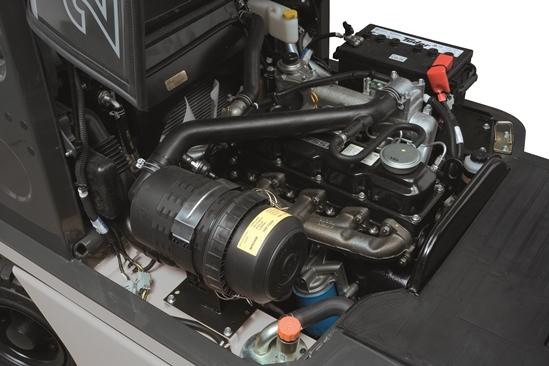 Ensuring low fuel consumption and low emission levels without compromising on performance, the LPG engine features an advanced engine control system with 3-way catalyst and closed loop system. Adding to low life cycle costs, there are long driving times between replacement of main components and fluids. Standard features include: Steering synchroniser, PIN code, multi-function LCD display, 3-way catalyst & swing down bracket (LPG-models), lamp kit, back rest, two mirrors, pneumatic tires. A spacious cabin with adjustable seat and steering wheel and a conveniently positioned armrest with electro-hydraulic fingertip controls allows the driver to easily control the truck ergonomically. 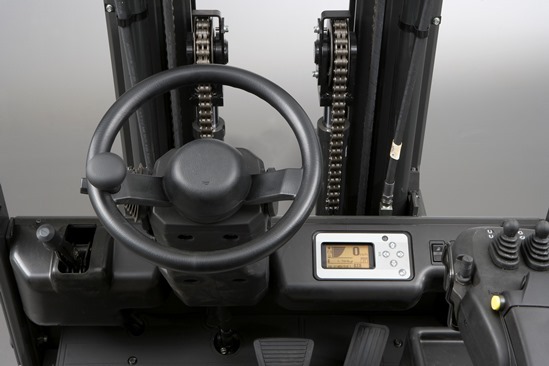 This, combined with the car-like driving characteristics, make the forklift a pleasure to drive. All the forklifts are modular built with UniCarriers unique shared components concept. By only having to carry a limited number of components, our mobile service engineers can fix over 95% of all breakdowns – on the first call. 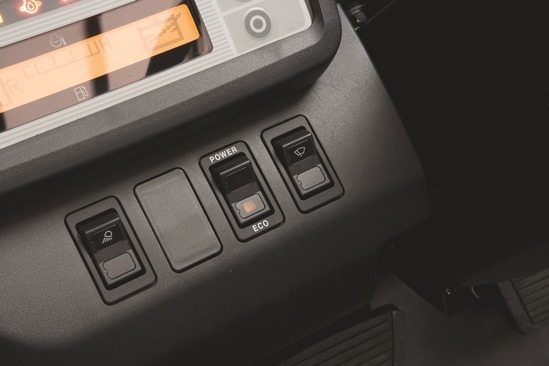 Maximising uptime, the truck's computer has a built-in trouble-shooting system that simplifies fault detection. No special tools or computers are needed to fix the truck, which shortens repair times.